Salome Thomas-EL has been a teacher and principal in Philadelphia, PA and Wilmington, DE since 1987. He is currently the Head of School at Thomas Edison Public Charter School in Wilmington, DE. Thomas-EL received national acclaim as a teacher and chess coach at Vaux Middle School, where his students have gone on to win world recognition as Eight-Time National Chess Champions. 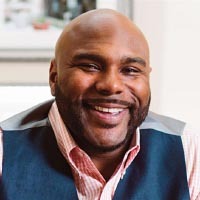 Principal EL was a regular contributor on "The Dr. Oz Show" and the author of the best-selling books, I Choose to Stay and The Immortality of Influence (Foreword by Will Smith). The Walt Disney Company optioned the movie rights to I Choose to Stay. Thomas-EL speaks to groups across the country and frequently appears on C-SPAN, CNN, and NPR Radio. He has received the Marcus A. Foster Award as the outstanding School District Administrator in Philadelphia and the University of Pennsylvania�s distinguished Martin Luther King Award. Reader's Digest Magazine recognized Principal EL as an �Inspiring American Icon� and he has appeared on Oprah Radio! 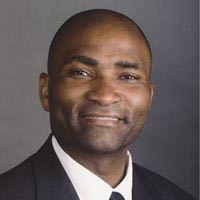 Dennis M. Williams, Jr. is the principal of Hatboro-Horsham High School located in the suburbs of Philadelphia, Pennsylvania in Montgomery County. At age twenty-nine, Dennis became the first African-American male to serve as a building principal in the history of the school district. Under his leadership, the high school has been recognized by Newsweek as one of the top high schools in the country and has been an AP Gold recognized district by the College Board. Skilled in the area of educational leadership he has presented at local, regional, and national conferences such as the national ASCD Conference, National Middle School Association Conference, the Learning Forward Conference and works with districts to support and train leaders and school personnel on various topics. His down-to-earth style, interactive presentations, and practical message have earned him high marks among attendees at engagements and conferences at every level. Dennis challenges educational leaders to redefine their roles and responsibilities in the ever-changing landscape of public education. He is passionate about student and parent engagement, culture and climate and the role of the community in the whole school experience. Pennsylvania Secretary of Education Pedro A. Rivera joined Gov. Tom Wolf's Administration in 2015 after serving as Superintendent of Schools in Lancaster, PA from 2008-2015. Under Secretary Rivera's leadership, Lancaster developed and implemented a new curriculum, an aggressive professional development plan, and innovative classroom observation tools. These initiatives resulted in an increased graduation rate, as well as notable improvements in math, science and writing proficiency scores. In September 2014, Mr. Rivera was honored by the White House as a Champion of Change for his efforts to transform urban education – one of 10 recipients nationwide to receive the prestigious honor. 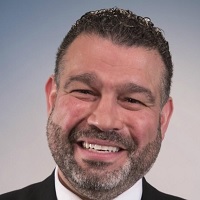 Prior to serving as Superintendent in Lancaster, Secretary Rivera served as a classroom teacher, staff member with the Philadelphia Federation of Teachers, assistant principal, principal, and executive director for the School District of Philadelphia. 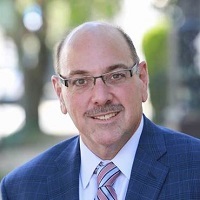 Vito is the first Executive Director for the National Association for Family, School and Community Engagement (NAFSCE). Prior to this, he served nineteen years as president of Every Person Influences Children (EPIC), a national organization providing parent education, family engagement in education and character education programs to help families, schools and communities raise children to become responsible and capable adults. He shares his expertise on multiple state and nation committees, coalitions and boards. Through Mr. Borrello's expertise and leadership focused on the advancement of family engagement at every level of our educational system, NAFSCE serves as a partner with the Council of Chief State School Officers (CCSSO) to support eight states in the development of birth through grade 12 family engagement frameworks. Failure to Thrive: The Traumatic Educational Journey Experienced By Marginalized Youth and The Essential Nature Between Schools and Community.